Factory Direct speaker dealer offering the latest in Haunted Attractions audio. Find state of the art Powered Speakers with built in MP3 player and cordless speakers. Deliver specialized sound for each themed room with no additional equipment. We offer a No Hassle Money Back Guarantee and Free Shipping with in the main 48 states in the USA. Call us for expert support (800) 910-3575. For indoor or outdoor sound equipment for your haunted house. We are proud to offer the best brands in the industry at unbelievable discounts. OnlyFactoryDirect.com is your source for high-quality savings. We offer over 20 years of experience and deep rooted connections in the industry that allows us to buy products at an incredible savings; we pass those savings on to you, our customer. Essentially there are three factors that allow us to negotiate killer pricing that we can pass through to our customers. First, we buy container loads of products direct from the factory; this saves them from storage and warehousing, shipping, and inspection. Second we provide our manufacturers with a guaranteed annual purchase, and finally we buy out the warranty because we offer a life time warranty on almost all of our products, now that's priceless. We simply get outstanding products at the very lowest prices direct from the Factory, and we back it all up with the best customer service you will ever encounter on-line. OnlyFactoryDirect.com was started out of the need to provide high quality audio products direct to the consumer. Based in the wholesale market for decades with contacts for high quality products from all over the world, OFD stepped out of the distribution chain from selling to other distributors and retail stores to directly selling to the consumer. This direct line from the factory to the consumer means lower prices while still maintaining high quality. How do we sell High Quality Products at such Low Prices? 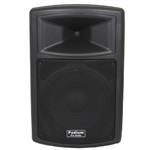 Onlyfactorydirect.com has affordable, quality pro, digital, and home audio speakers, subwoofers and audio related equipment.